Isaac Harris brings 13 years of architectural experience leading complex renovation, addition and new construction projects. He is recognized for his strong organizational skills and ability to provide well-coordinated construction documents. He is currently working on the Sam Barlow High School, Southwest Oregon Community College Health & Technology Science Building, and the Richland City Hall projects. 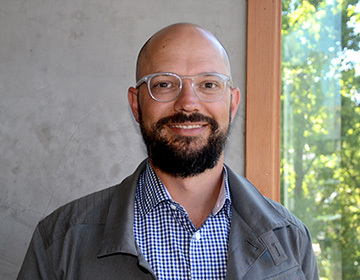 With his previous firm, Isaac served as the Project Architect for multiple projects at the University of Portland; including the 75,000 sf Beauchamp Recreation and Wellness Center, Clark Library renovation, and Lund Family Hall. These projects contributed greatly to the quality of academic and student life on campus. Isaac earned a Master of Architecture from the University of Oregon, and a Bachelor of Arts from Messiah College. He is a registered architect in the state of Oregon and a LEED Accredited Professional.